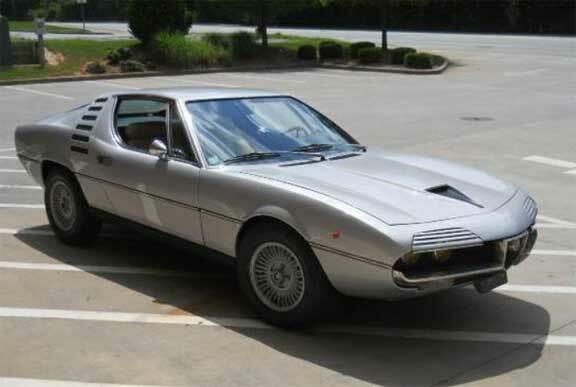 During my regular ’rounds around the web searching for my next great collector car find I stumbled across this rare 1974 Alfa Romeo Montreal on Craigslist in Atlanta. 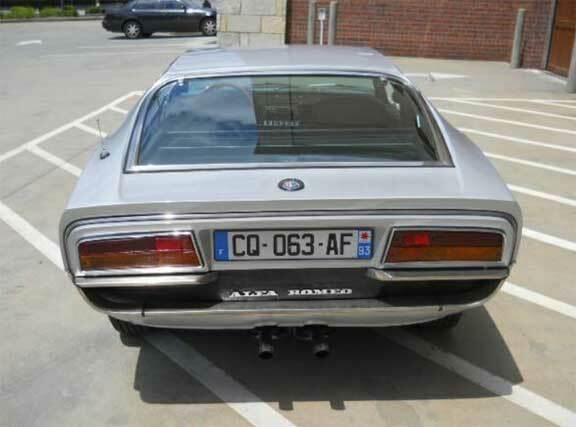 It’s described as a recent import from France where the same gentleman owned it for 27 years. You can see the amber yellow headlight lenses peeking out from the front brows. Apparently the silver paint is fresh and a new cream colored leather interior was just installed. It’s said to have been well maintained and it runs beautifully, the asking price is $59,000. 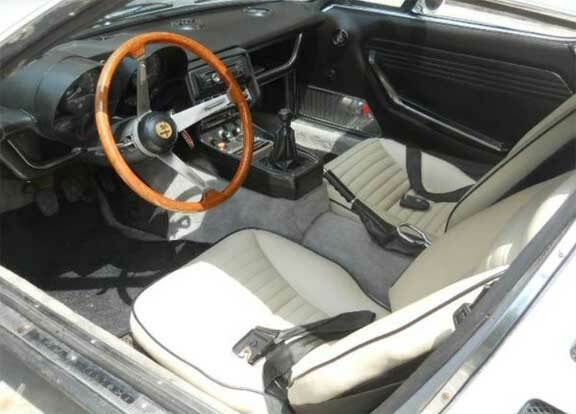 While the car’s chassis and running gear was borrowed from the Alfa GTV, the Montreal’s exotic Bertone body and low production numbers (just under 4,000 total units built between 1972 and 1975) will always set it apart from other modern Alfas. $59,000 is no steal, but considering a similar 1973 model sold for $99,000 (well above the auction company’s estimate of $55,000 – $75,000) at Gooding and Company’s Pebble Beach Auction in August, chances are Montreal prices will continue to increase. Still sporting its French license plates. I saw one if these on sr 92 in Woodstock. Never have seen and probably never will! My daughter had no idea why I was making a big deal of this ugly little blue car.